Stormzy will be Glastonbury’s first grime headliner, with a Pyramid Stage slot confirmed for 2019. The news first broke via a poster in an Oxfam shop in Streatham – close to the star’s childhood home – and one in Glastonbury. Stormzy confirmed the news via a post on Instagram. Last year marked a big breakthrough for UK grime when Boy Better Know headlined the Worthy Farm event’s Other Stage. 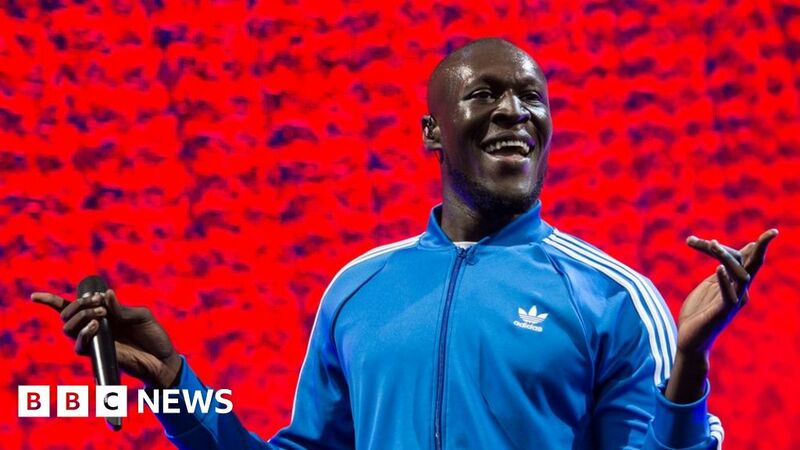 Stormzy played earlier in the day on the Other Stage and performed a thrilling set, which will undoubtedly have persuaded organisers Michael and Emily Eavis to book him for the main stage. Watched by Katy Perry and Chris Martin, the star delivered hit after hit from his debut album, Gang Signs and Prayer – as well as a snippet of the Grenfell charity single, Bridge Over Troubled Water, which was number one that weekend. A poster appeared in the window of the Glastonbury Oxfam shop earlier today. Angus Lavery, manager of the store, told the BBC he had no idea how the poster first appeared in his shop window. He said: “The poster appeared at lunchtime. Gang Signs and Prayer is Stormzy’s only album to date so the star won’t have a huge back catalogue to refer to but he does have a second album in the pipeline. Other artists rumoured for the 2019 Glastonbury line-up include Madonna, Paul McCartney and Kylie Minogue – but the line-up isn’t usually confirmed until much closer to the event. Tickets for the festival sold out in just half an hour last month. It takes place on Worthy Farm on 26th-30th June, 2019.